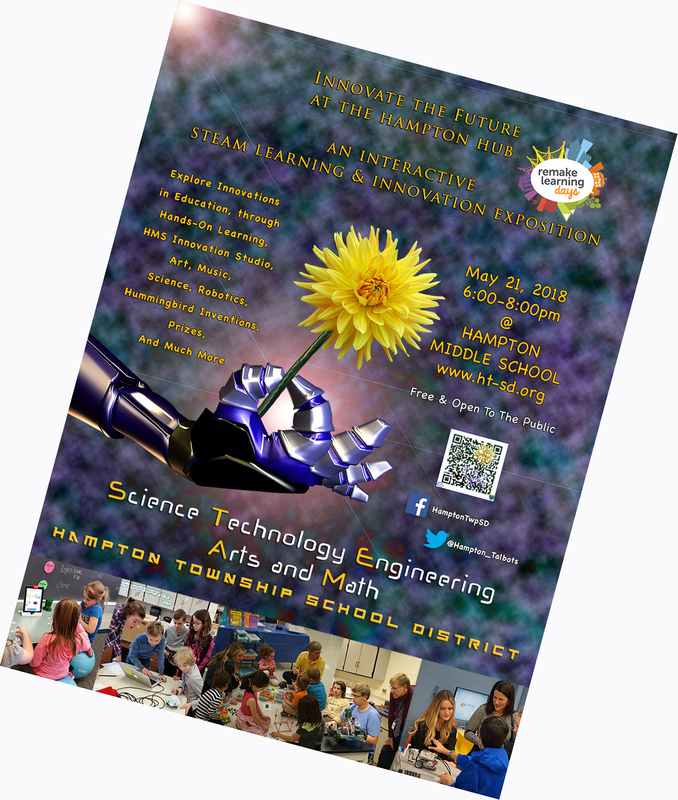 The Hampton Township School District, known for its Tradition of Excellence and transformative learning , is pleased to announce its annual participation in the Remake Learning Days. In much the same way that Remake Learning Days has grown to a National audience over the past few years, the Hampton program has continued to evolve from the District's original 2009 event. This upcoming event continues to provide an opportunity for the entire community to experience, first hand, the many ways innovative teaching and learning is powering critical thinking, communication and creative problem solving in our schools. Our 2019 event will be an Innovative Teaching & Learning Showcase. Check back soon for additional details on this year's event!